Casey & Lee- I love ’em both!!! It’s now an American pastime! If you’re NOT watching American Idol, you need to start! (Even my mom started watching- 1st time!) Last year was TERRIFIC on Idol (Adam’s showmanship/confidence/talent, Matt’s piano skills, Danny & Anoop’s soulfulness & personalities, etc.) And young Allison did well, too. Who’s ready to be a star? Even though Adam didn’t win last season, he’s appearing everywhere and wow-ing people w/ his voice & entertaining performances. (Yes, he is causing controversy, BUT so did Elvis & Madonna.) 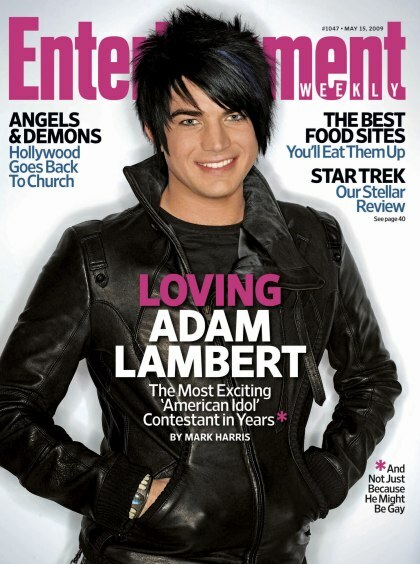 I noted before that my dad said Adam “is like Elvis.” What a compliment! Simon thinks this year the winner “could be a girl.” Hmmm… maybe it could be Crystal. She is very grounded, mature, and knows what she’s good at singing. I also like Casey (great guitar skills/good sound/confidence) & Lee (unique voice). Casey’s voice can go country, pop, or rock. He seems amenable to different styles. Lee is just a great find! When I listened to Lee’s studio sessions, I thought that this guy could be on the radio today (just as Kara said). I hope they BOTH stay in the game! “American Idol” is in full swing! Update: Lacey Brown was voted off on Thursday, 3/18. I’m sure MANY fo you are watching American Idol these days. Like last season, there is a diverse group of singers ranging in age from 16 to late 20s. There is also a diversity of style of singing, presentation, and looks. This makes the competition VERY exciting! Last night, the hopefuls took on classic rock- the Rolling Stones. The singers whose styles I REALLY enjoy are Aaron Kelly (just 16) and Paige Miles (who has a VERY powerful voice). Aaron, though very young, has a kind of quiet confidence. He knows what he wants to sing- country w/ a hint of pop. (I think it’s pretty EXCITING to have a country singer on such a big show!) Paige has a lot of potential, but she needs to be careful when picking songs. She carries herself well and has big, beautiful eyes. And we know that LOOKS don’t hurt you on Idol! 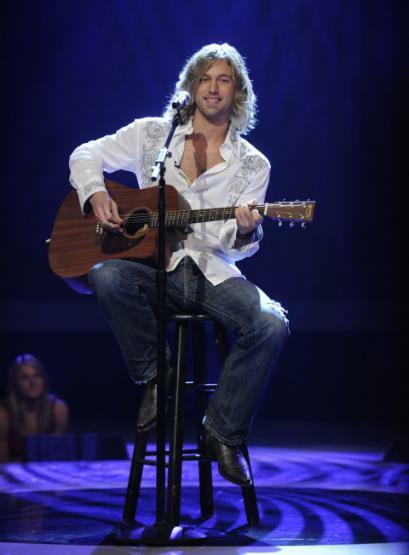 Speaking of beauty… Casey James (27) and Didi Benami (23 y.o. w/ wide smile) are doing pretty well. Casey just makes me SMILE! It seems like these two are eager to please and willing to experiment w/ song styles. Lacey Brown (24) reminds me of Martina McBride when it comes to looks and voice- an unique sound. I hope she stays around. 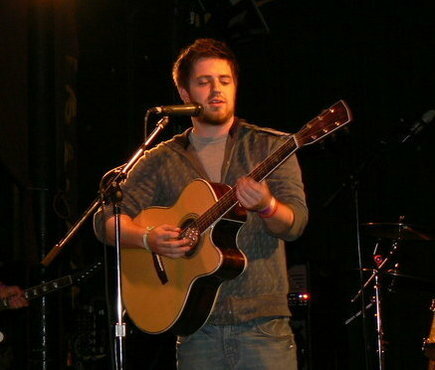 Lee Dewyze (23) stands out from the crowd w/ his simplicity and musical influences. (He’s also the only contestant from the Midwest.) I felt BAD for him when Simon commented harshly on his performance Tuesday night. Lee looked near tears! Are you UPSET about this!? I certainly am! This shows us (once again) that natural ability doesn’t ALWAYS make you a winner. That’s just plain sad. Matt and Kris would’ve been gone, if it were up to me. I’m glad that Allison got to stay- she has a LOT of skill w/ her voice. I hope Adam can win it all- like Randy said, he’s ready NOW for a career. Go Adam!!! After Lil leaves, Anoop and Allison wait to see who's out next (WED). Aww... Anoop's turn is up! Anoop sings "Dim all the Lights"
Anoop takes losing like a champ (wouldn't expect less)! Oooh- v bright, clear, and pretty! Around 7PM (after rain)- v pretty again! Father Peter Clifford (Stephen Tompkinson) listens to Eileen, who's love w/ the new guy in town, Enda Sullivan. I liked re-watching this ep A LOT b/c I didn’t recall some of it! It focuses on Brian’s attempt to make a promo film about the town, Peter’s attempt to get more people in for Sunday mass, and Assumpta’s attempt to get a personal life. Pretty much everyone in the town has noticed that Enda is interested in Assumpta. She is a BIT curious about the newbie, who is also an ex-rocker/single dad to a young son. In a recent ep, Enda even played a gig at Fitzgerald’s for free. Niamh, who is recently married/pregnant, encourages Assumpta to date Enda (if he asks her). He does ask, but she insists on picking HIM up and pays 50% for dinner. At dinner, Enda comments that “for an atheist, you’re pretty friendly with the priest.” Assumpta shoots back quickly, “I’m not an atheist, and the Church doesn’t have anything to do with my friendship with the priest. Peter’s a good man.” Enda and Assumpta have an awkward date b/c he’s more interested in her than she is in him. Assumpta listens while best gal pal (Niamh) gives her advice about men. Peter talks to Enda about performing in church. Peter goes over to Enda’s house to discuss his coming performance. But we can tell from Peter’s face and demeanor that he’s MORE concerned about the Assumpta-Enda-Eileen love triangle! Assumpta breaks off her burgeoning relationship w/ Enda. At the end of this ep, Assumpta graciously breaks off her would-be relationship w/ Enda. She tells the chagrined older man “maybe you need to grow up.” Peter comes by the bar and says “you really missed something great” (meaning the performance at mass). Assumpta looks over at Enda walking away and says “I doubt it” (referring to a relationship). Tonight’s best performances were: Adam, Anoop, and Danny. I decided 2 weeks ago that I like Danny a LOT better than Matt. His voice is more interesting, and his performances are more natural and energetic. (Dad said “he’s very natural” after Danny sang.) Adam and Anoop looked TERRIFIC tonight- posh BUT young. I liked Adam’s song- VERY original! Anoop looked more grown-up and showed some personality tonight- YAY! I didn’t know the song he picked, BUT it was pretty good. Paula is right- Anoop has a great smile. His parents looked VERY happy (and excited). ITA w/ Randy that this is the best 7 contestants they’ve had on the show!